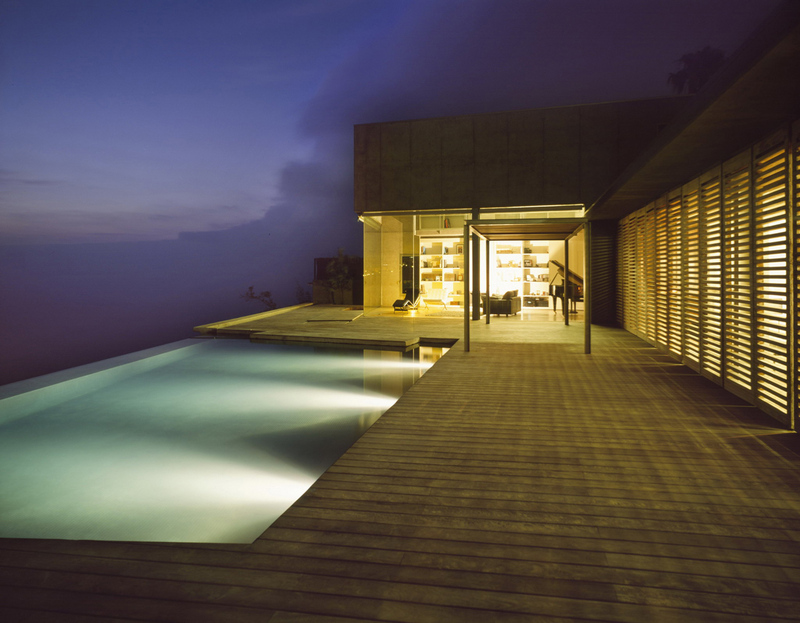 Jardin Del Sol Corona House | Shelby White - The blog of artist, visual designer and entrepreneur Shelby White. 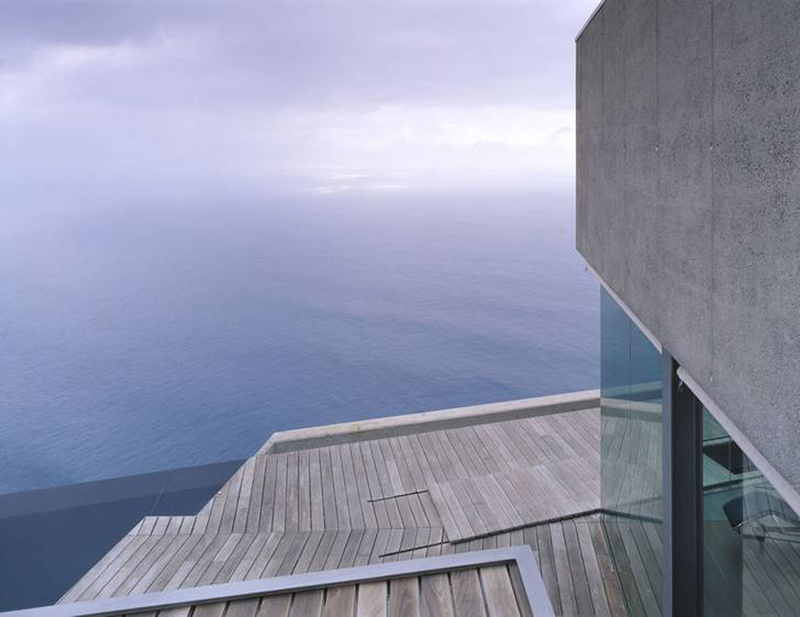 Corona y P. Amaral Arquitectos designed this house at the edge of a cliff so that the view over the water would be entirely fulfilling. 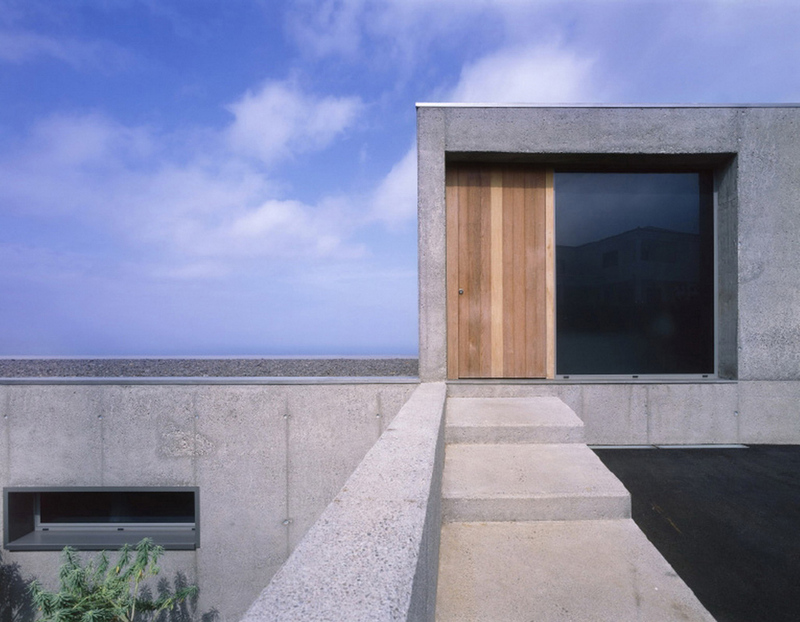 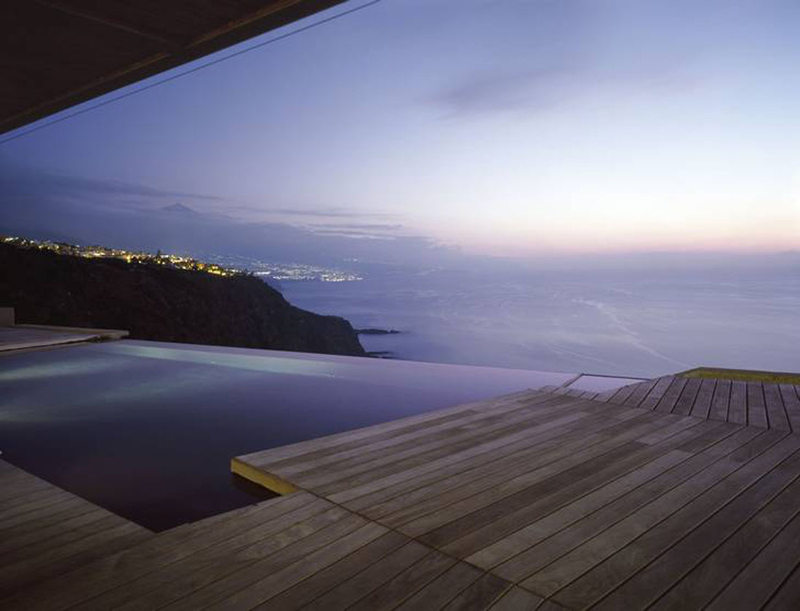 The house is located on the north coat of the Canary Islands (Tenerife) in Spain. As if the view and pool weren’t enough, the house also has a basement gym that also has outward views. 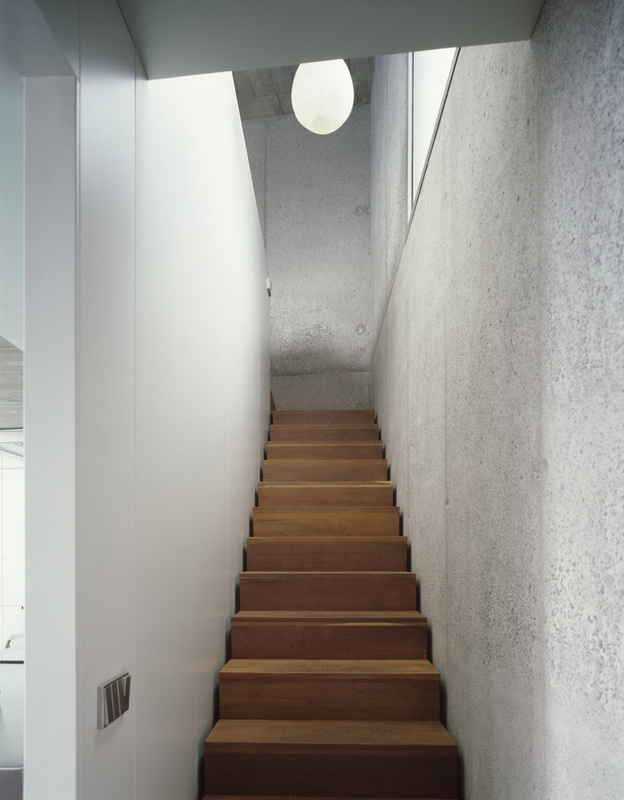 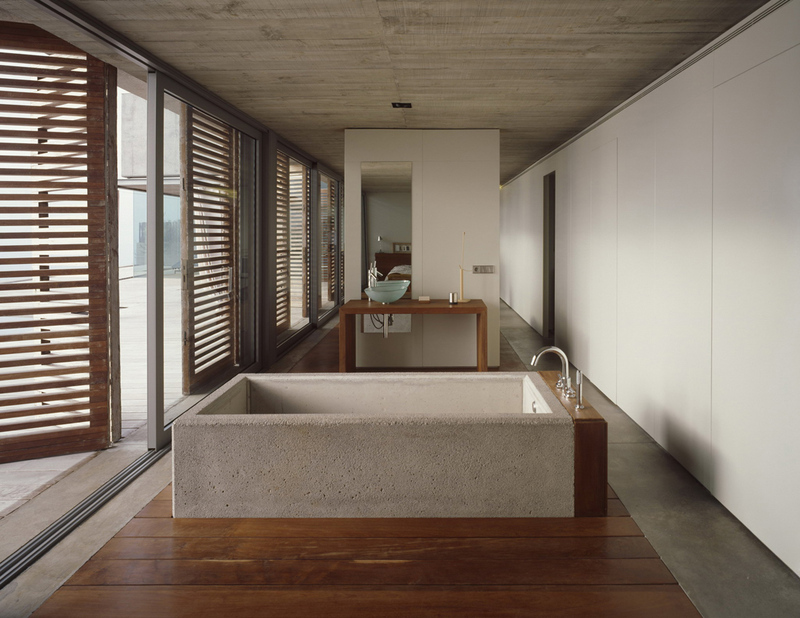 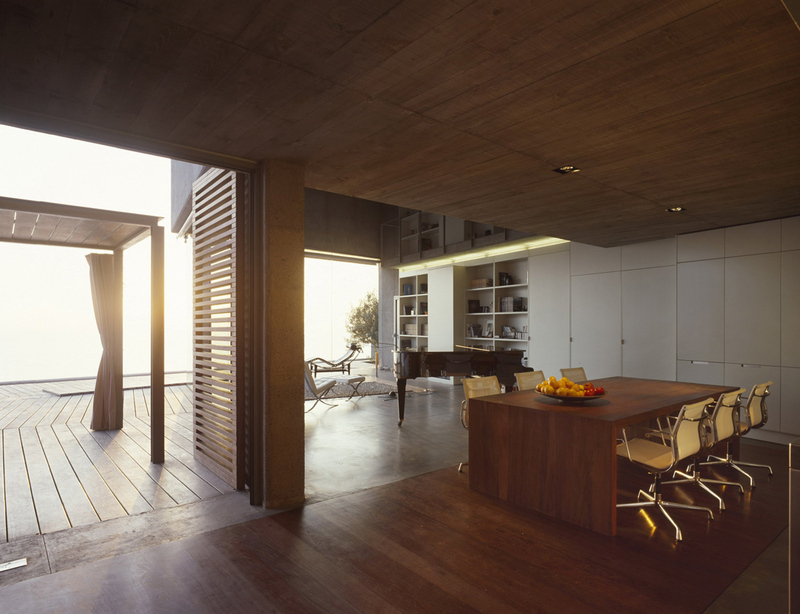 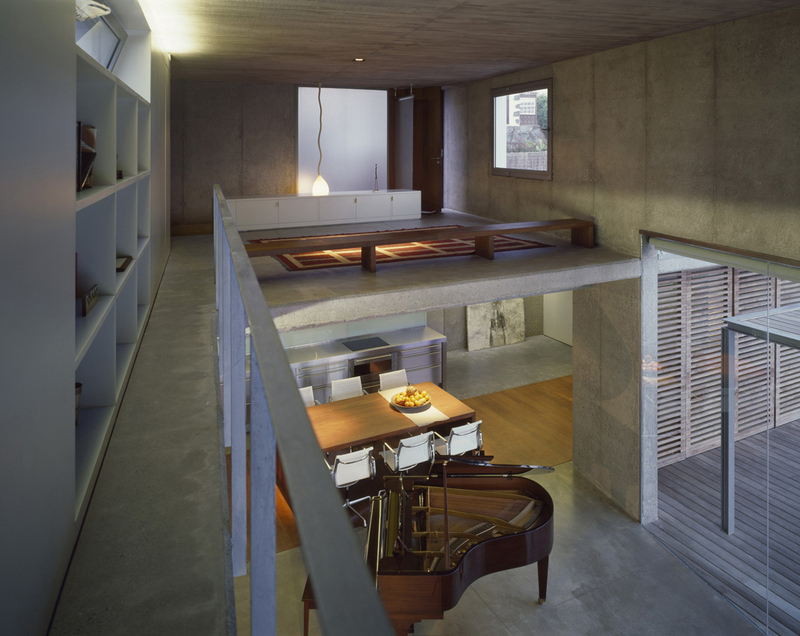 The interior and exterior of the house use really nice mixup of wood to concrete. 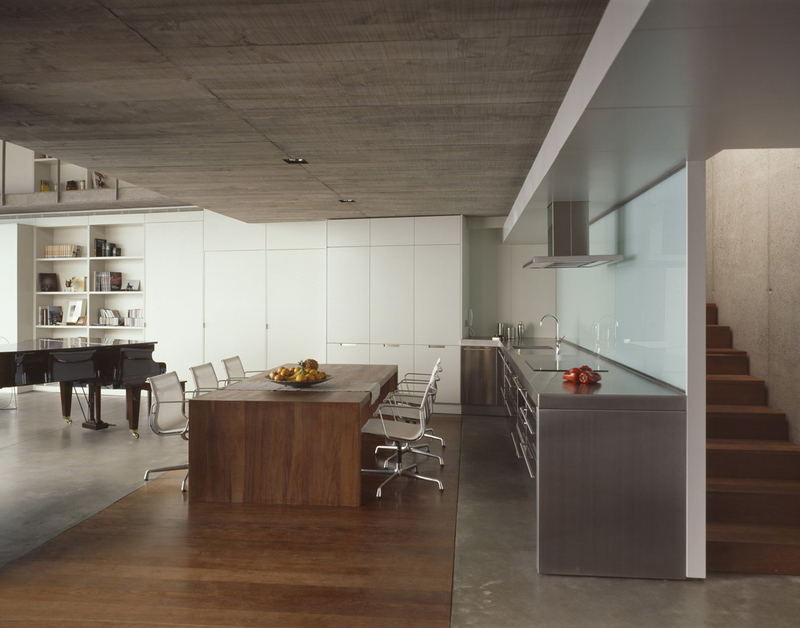 I’ve always felt that that combination almost always gives a house more personality. 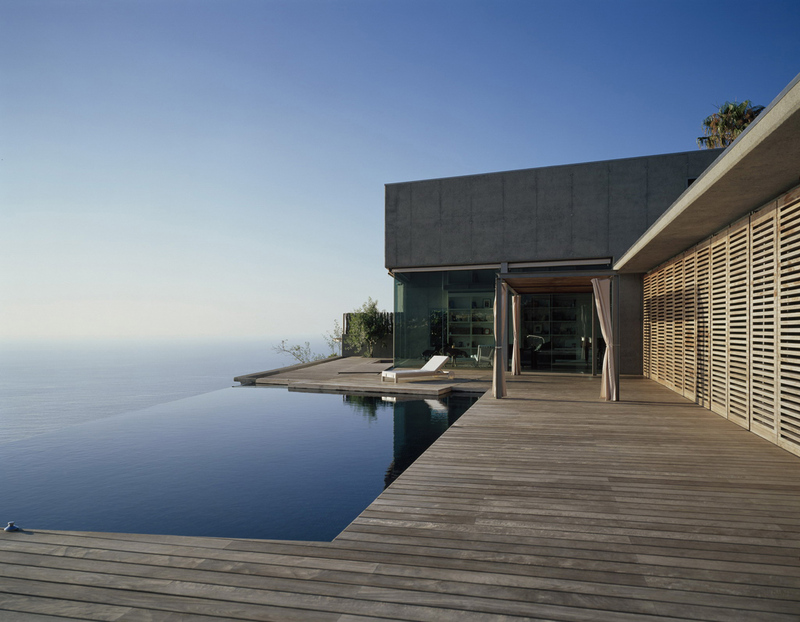 Wow, thats quite the view, and the edgeless pool line ads just a phenomenal touch to the house! 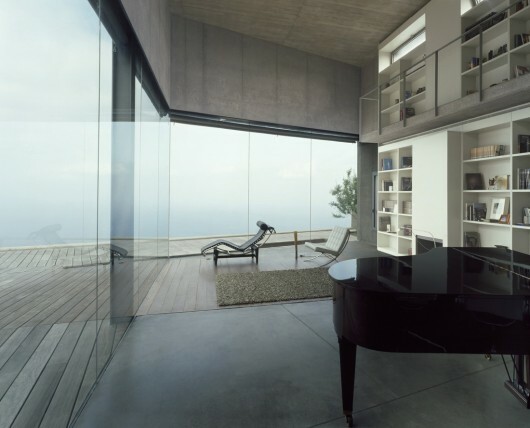 Now I wonder how that piano sounds inside there!